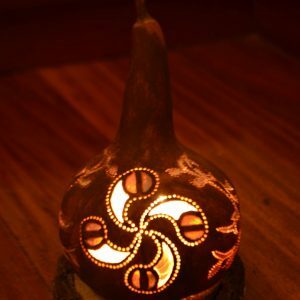 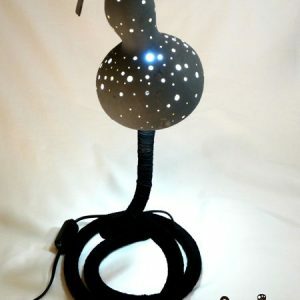 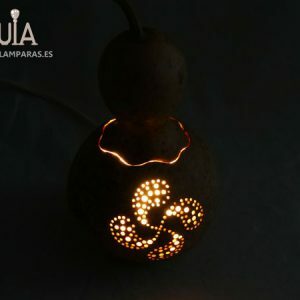 Decorative-symbols lamp with a lauburu design (Basque symbol which means 4 heads). 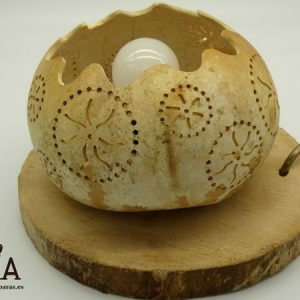 Designed for interior decoration in pubs and shops, it is designed to acquire a rustic character. 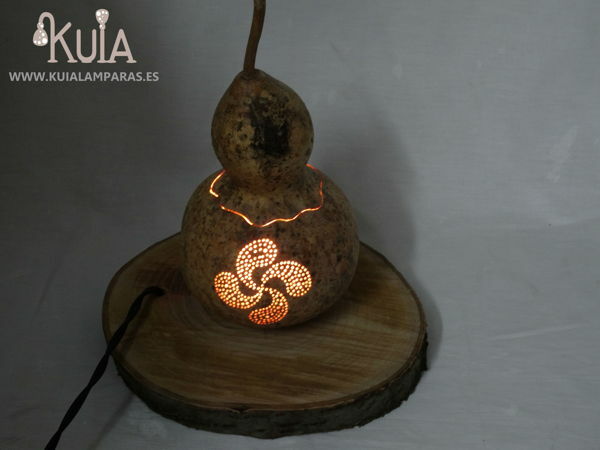 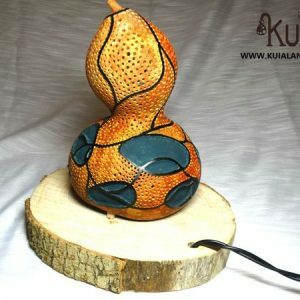 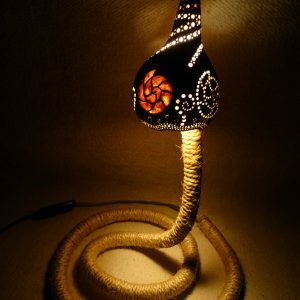 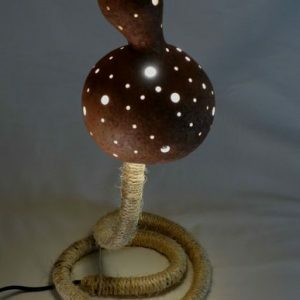 The base is composed of a cut lacquered ash wood.Decorative table lamp, which emits no light, but reflects the drawing lauburu once ignited.It has a lid to change the bulb. 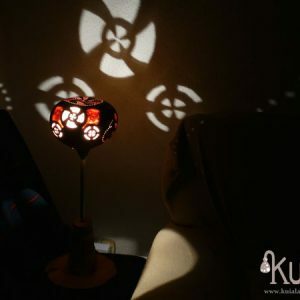 You can also turn on without lid to emit more light outside.